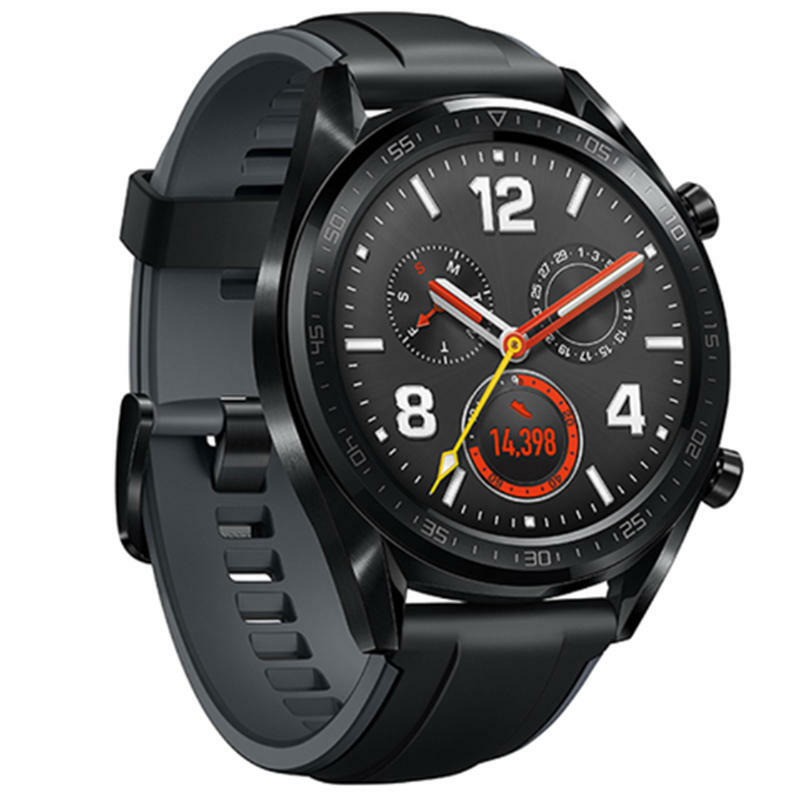 The Huawei WATCH GT Sports Version is compatible with silicone strap. Please be aware of it. Thank you! TrueRelax Pressure Monitor Based on the 24-hour heart rate monitor analysis and can give you suggestions to do some respiratory training to release the pressure better. Multi-sport Modes Support Cycling, Running, Climbing, Swimming(support identify swimming gesture,swimming speed,SWOF swimming efficiency) , Walking etc. 1.Q. Is it waterproof ? A. It's 5ATM deep waterproof. Support swimming. 2. Q. What is the APP? 3. Q. How to change the time of my device? A. Please synchronize the device with your phone through bluetooth to calibrate time.